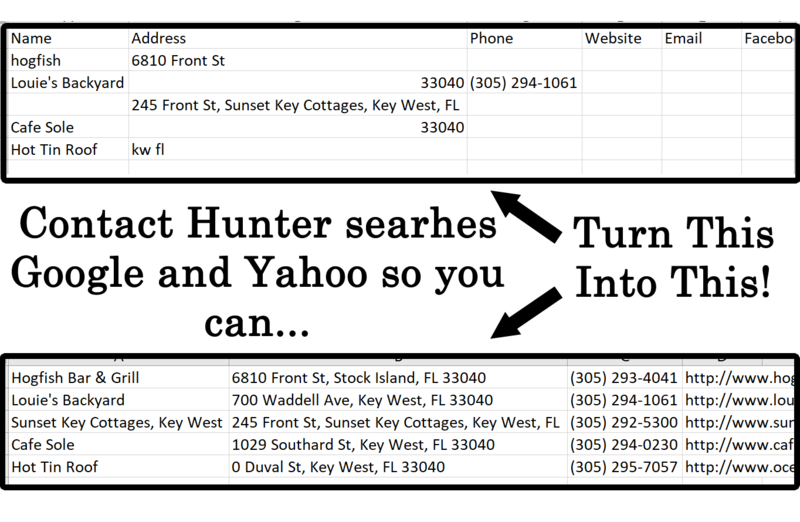 Contact Hunter is an easy to use tool optimized for finding the Name, Address, Phone, Website, Email, Facebook, Twitter, and Google Plus details for a business. Simply provide the program with the existing data that you have in the provided template and watch as the program autofills out their contact details. The program will search google and yahoo local for the details you provided and try to match them to an existing business. If it finds one it will extract the business details and save them for you. It will also spider each website checking on the home page, contact, and about pages of the businesses looking for email and social details. From years of experience I know that these websites will have the details you want. This is why we only target the sections that will have the correct details for the business. 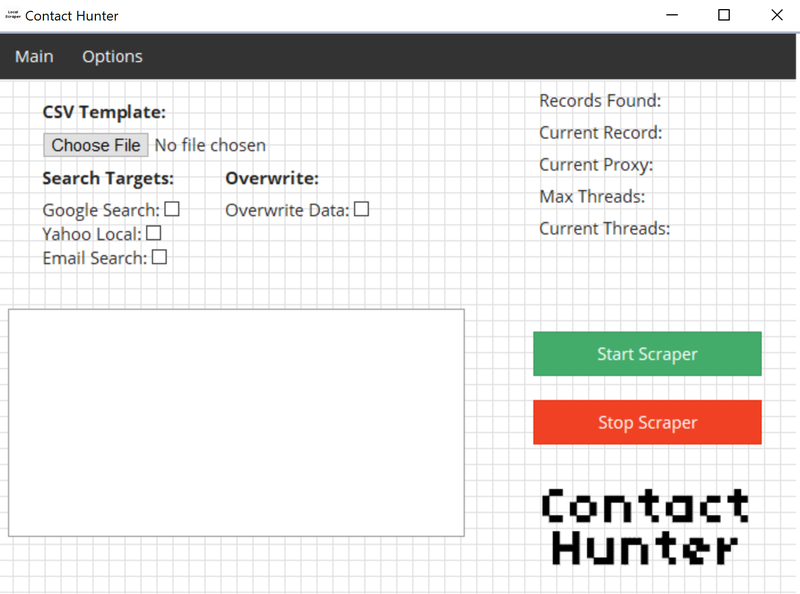 Contact Hunter has full proxy and VPN support for anonymous gathering of data. It is also fully multithreaded which means you can scrape data faster than ever before. Super easy to use the entire program runs with the press of a single button. All data is automatically saved into easy to use and import CSV files. If you have existing business details that you need completed, or a list of website urls and you need the email or social urls then Contact Hunter is the right choice for you. Scrape more data even faster with multithreading support. Use up to 50 threads for super fast scraping of data. Simple and easy to use user interface. Run the program with the touch of a button. Results are autosaved into a easy to import CSV file. 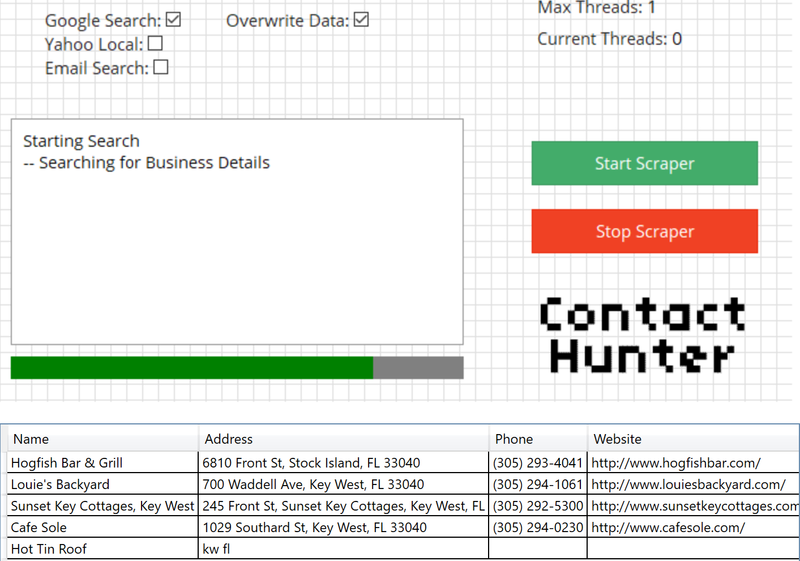 Ready for any database or CRM. Watch live as the program gathers your data and reports its progress. Latest Version is 1.30. Order now and get instant access to the greatest version of Contact Hunter yet. Get Instant Access to Contact Hunter for only $59.99! * Contact Hunter only supports Windows OS. ** Your purchase is for a Single License of Contact Hunter. Your Single License allows you to install the program on two computers. *** Your payment is a single payment for life-time product access and updates.